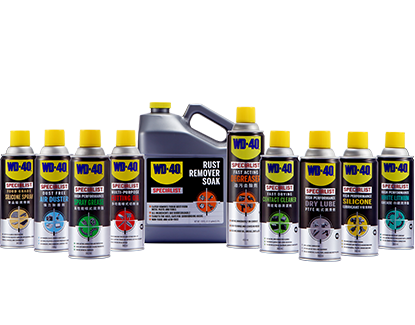 A water-based solution that quickly removes grease, oil, dirt and grime without leaving any residue. 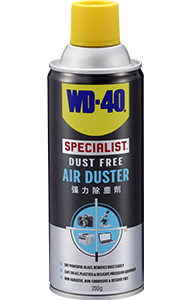 A versatile, easy-to-use product that helps to keep electronics, households, workshops, vehicles clear of dust, wood shavings, sawdust, metal scrapings, dirt crumbs and more. 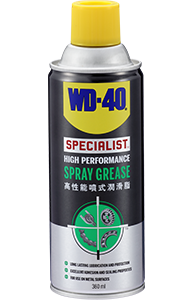 A non-staining, hard-working formula which provides excellent lubrication without attracting dirt and protects against moisture. 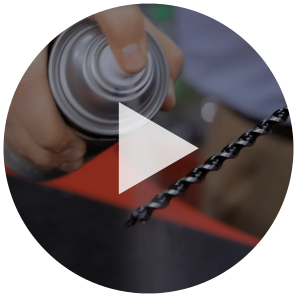 Forms a colorless, odorless, non-staining film that lubricates and protects surfaces like plastics, rubber, metal, glass, wood and more. Non-drip with excellent adhesion and sealing properties to provide resistance to water. Limitless application areas throughout the home, trade and industry. 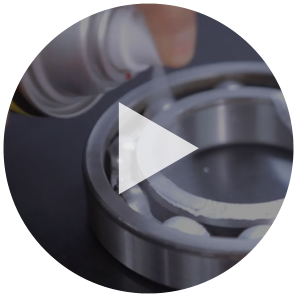 Designed to prevent pitting and metal seizures, ease mechanical processing of metals, reducing frictional heat accumulation and frictional forces. 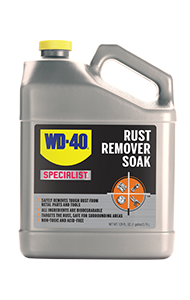 WD-40® Specialist® Rust Removal Soak dissolves rust quickly, ideal for restoring rusted parts to bare metal. 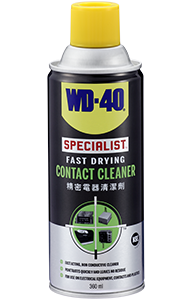 WD-40® Specialist™ Fast Drying Contact Cleaner. 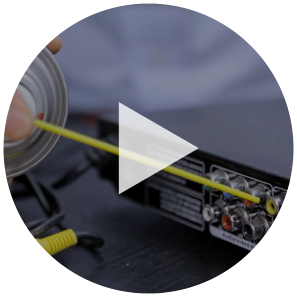 Perfect for cleaning electrical equipment, contacts and plastics. 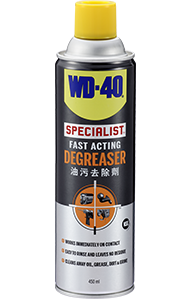 WD-40® Specialist™ Fast Acting Degreaser is a water-based solution that quickly removes grease, oil, dirt and grime. 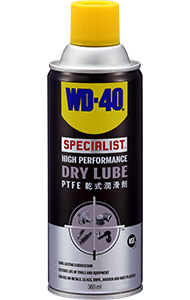 WD-40® Specialist™ High Performance Dry Lube delivers enhanced lubrication and protection. 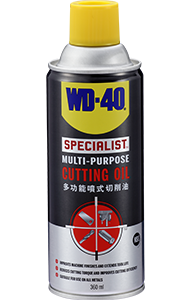 WD-40® Specialist™ High Performance Silicone Lubricant is a non-staining, hard-working formula which provides excellent lubrication. 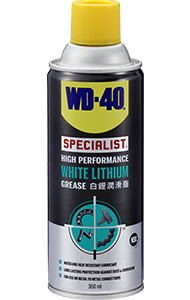 WD-40® Specialist™ High Performance White Lithium Grease is a high viscosity solution that delivers long-term lubrication.